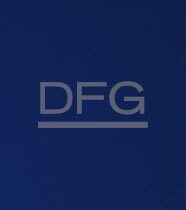 Mr. Wriedt joined DFG in 2019 as Chief Executive Officer. He is responsible for overseeing business strategy and day-to-day management of the firm, driving product development, and leading fundraising efforts. He has twenty-five years of experience in lending, structuring, portfolio management and business development. Prior to joining the firm, Mr. Wriedt spent 6 years at CIFC Asset Management, where he most recently served as Co-Chief Executive Officer. During his tenure at CIFC, he helped grow assets under management to $18 billion and diversify product offerings to include a range of alternative credit strategies. Prior to joining CIFC, Mr. Wriedt served as a Managing Director in Providence Equity Partners’ Capital Markets Group, where he focused on the build out of the firm’s direct lending, long/short credit and CLO issuance efforts. He previously held roles at Sciens Capital Management, GoldenTree Asset Management, Deutsche Bank and NORD/LB. Mr. Wriedt serves as a director on the boards of The Credit Junction, a data-driven asset based lending firm, and The River Fund, a non-profit organization dedicated to eradicating hunger, homelessness and poverty in New York City. Mr. Wriedt received a B.A. in History and Economics from Duke University.